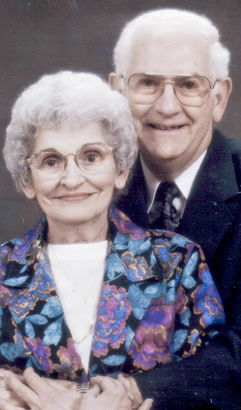 WARREN - Peter Truta, 85, passed away Tuesday, Feb. 12, 2013, at St. Joseph Health Center of congestive heart failure. Peter was born Nov. 21, 1927, in Warren, the son of Nicholas and Ann Truta. He was a graduate of Braceville High School.Peter retired in 1984 from Van Huffel Tube Corp. as a machinist after 35 years. He also retired in 2011 from the Peter Rossi and Son Memorial Chapel after 26 years. Peter was a member of Holy Resurrection Romanian Orthodox Church, where he had been president and held other offices on the Church Council. He enjoyed building, flying model aircraft and traveling, and was a skilled craftsman and loved woodworking. 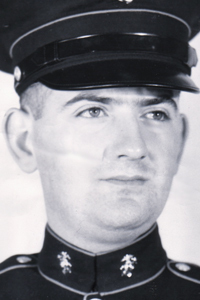 Peter served in the Marine Corps in World War II and the Korean War. On Jan. 20, 1949, Peter marched with his Weapons Company of the famed 22nd Marines during President Harry Truman's inaugural parade in Washington, D.C., at the Capitol Building. He is survived by his children, Jean Ann (Richard) Loy of Warren, Peter Nicholas (Marsha) Truta of Overland Park, Kan., and Kenneth George (Margie) Truta of Poland; three grandchildren, Christopher (Beth), Bryan (Donielle) and Brandon; four great-grandchildren, Isabella, Emma, Adi Morgan and Hallie; and a half-sister, Helen Truta of Canton, Ga. He was preceded in death by his parents; wife, Eugenia "Jennie" Truta, whom he married July 26, 1947, and who passed away Feb. 16, 2010; grandson, Jason; two half-brothers, Charles and George Toma; and one half-sister, Helen Toma. Family and friends may call from 4 to 7 p.m. Friday, with a Saracusta service at 6 p.m., at the Peter Rossi and Son Memorial Chapel in Warren, and from 9:30 to 10 a.m. Saturday at Holy Resurrection Romanian Orthodox Church. A service will follow at 10 a.m. Saturday at the church with the Rev. James Barkett officiating. Burial will be in All Souls Cemetery in Cortland with full military honors. In lieu of flowers, contributions may be made to Holy Resurrection Romanian Orthodox Church, 1836 North Road N.E., Warren, OH 44483.